as long as they go in the right direction. The 2012 Gregory O’Donoghue International Poetry Competition chose my poem, SMALL CRY, as one of seventy commended poems out of 1700 submissions from around the world. 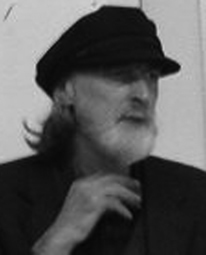 Irish poet Patrick Cotter served as judge. There were 3 places, 10 highly commended and 70 commended. The Gregory O’Donoghue International Poetry Competition is put on by the Munster Literature Center in Cork, County Cork, Ireland.Founded in 1993, the Munster Literature Centre (Ionad Litríochta an Deiscirt) is a non-profit arts organisation dedicated to the promotion and celebration of literature, especially that of Munster. To this end, we organise festivals, workshops, readings and competitions. Our publishing section, Southword Editions, publishes a biannual journal, poetry collections and short stories. We actively seek to support new and emerging writers and are assisted in our efforts through funding from Cork City Council, Cork County Council and the Arts Council of Ireland. Originally located in Sullivan’s Quay, the centre moved to its current premises in the Frank O’Connor House (the author’s birthplace) at 84 Douglas Street, in 2003.